Here you will find the Weight Watchers points, points plus and Taco Time nutrition. If you are looking for the information for the Northwest region (as they have a different menu) then click here. The original WW points are highlighted in the gray column and the new points plus are in the purple column. So if you are a member make sure to select the points system for the weight loss plan you are currently following. 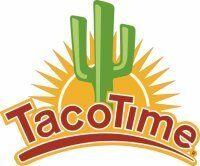 The Taco Time WW points are rounded to the nearest points. The nutritional information includes calories, total fat, saturated fat, fiber, protein, carbs, sodium and sugar. If you are watching what you eat when dining out then you can use this information to track points, calories, fat, carbs or what ever you are tracking to lose weight. Note: Nutrition did not state if dressing is included with salads. Assumes it is not included. Learn how the points are calculated by reading this article. Understanding the values in the foods you eat can help you make the right choices. Don't let the scale get stuck on that same old number. Get beyond the weight loss plateaus by using these tips so you can reach your goals. Check out all the online and offline weight loss tools on this website. From calculators to spreadsheets, you can use as much or as little of these tools to help you lose weight.